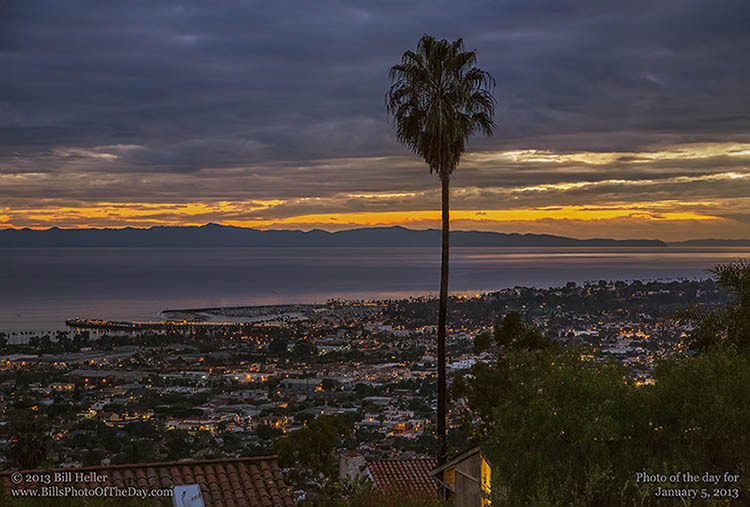 This angle over the city is one of my favorite views of Santa Barbara. But I usually wait for just the right combination of weather and clear air to make the sky beautiful, and the islands sharp. Usually the islands are shrowded in mist at this time of the evening if there are good sunset clouds, and you can't truly appreciate how large they actually are since they just poke out of the fog with their bases hidden. After my last shot at this location I knew I wanted to focus on the harbor and the wharf when I returned. This evening everything finally fell into place to get the image I was looking for.